So, you recently logged into your Facebook account hoping to see what’s new but instead, you realized your Facebook account has been suspended, disabled or worse, banned. And you are wondering what may have resulted to that? Here’s a guide for you. Or perhaps, you just want to get enlightened on why these things happen? Welcome on board. Be sure to take a cup of tea, water or drink while you read through this :). It’s kinda lengthy. Over 1300 words and yes, it’s all self-written. Over the years, Facebook has upped its security features. A lot of new features are being introduced every now and then – one of the latest being Take A Break. Point is, FB accounts don’t often get suspended like before, but yes, it still happens. Here, I’d be sharing with you 10 possible reasons why your Facebook account may have gotten suspended, disabled or banned. You just have to figure out which applies to you and if a remedy is available, you should try to fix it. Let me share with you a secret. Well, not exactly a secret but a fact. A couple of years back, the quickest way to get an FB account locked, is to access it using an unknown IP address. Using proxy sites could do the trick. Now, when that happens, the user is asked series of questions in-other to unlock the account. In some cases, the user is asked relatively tedious questions like having to identify pictures of a few friends. In a case where the user tend to have thousands of friends and isn’t familiar with their faces or names, this becomes an issue. At the time, the remedy to this is either using other verification method (If available), or having to try over and over again until the user finally gets it right. I have seen cases where a Nigerian Facebook user, decides to use a Chinese name on the social network service. While this was intriguing, it wasn’t too long afterwards, I stopped seeing his updates on my timeline. What could possibly have been the cause? Your guess is as good as mine. Here’s another case scenario. My Sister used to use a lengthy ‘tushed‘ Facebook name. You know how ladies like to form posh with everything, even with their online identity. Despite using that name on Facebook for months without problems, she suddenly got slammed with a Facebook Suspended message. The only remedy at that point, was to undergo proving to Facebook, that the name is real which apparently, isn’t. She was asked to provide a driver’s license, national ID card, or some other acceptable form of identity. The account is still suspended till date since none of those could be tendered. This kinda correlates with using a Fake name, however, in most cases, the names ain’t fake. People sometimes, tend to form smart or better. While Facebook often only permits the use of a first name, a surname and a middle name (optional), there are a few tricks to using just one name. Say for example, instead of using Samuel Adeniyi as your Facebook name, there’s a way to make it just Samuel or just Adeniyi. While using just one name on Facebook may seem cool and make you stand out, it can really make you stand out in terms of being out of the social network. In most cases, the only way to get back in and join the rest of the crowd, is to provide a full name and sometimes, with proof of identity. Yes! A fake profile picture can get your account banned, suspended or disabled. How do they detect a fake profile picture? You may want to ask. Well, same way they detect fake usernames. The guys at Facebook are that smart. Personally, I should be able to detect a fake profile picture. I mean, you can’t have a well-groomed Nigerian name and look all oyibo-ish (I know that ain’t a word, but you should get the drill ?). This is still inline with a few reasons I already stated above. If Facebook finds your profile suspicious, they can get the account suspended. The only fix in a case like this, is to prove authenticity. So, you just signed up on Facebook. Great! You haven’t completed your profile information nor taken the time to familiarize yourself with how things work around the social network. Next off, you’ve sent a few friend requests and started sharing spam links on your profile or sending spam links to your friends via inbox messages. In no distant time, that account could get suspended, disabled or even terminated. Take it easy. Learn the ropes first. There was a time when, if you send too many friend requests and 90% of them don’t get accepted, you will be banned from sending friend requests for a specified number of days. This was / is Facebook’s way of maintaining sanity. The social networking platform is typically to get acquainted with folks who know you or you know. I understand we can get to meet a lot of people on the platform. But sending hundreds of requests within minutes of signing up is going overboard. The problem may not even be the friend requests being sent. But if 80 to 90 percent of those sent requests ain’t confirmed, it could pose a threat. Facebook has a report feature and it works. Although I’ve never felt the need to use it, I’ve read a few persons testify to this fact. Literally every social networking service do have the report feature. And this is basically intended in bringing moderators to issues that are worth noticing. Think of it like this. You often tend to cause troubles in a school and you often get reported to the authorities. Sooner or later, you could be expelled. You’d most likely be warned though, but in a case where it’s severe, you’d be likely be expelled. Same thing applicable in the social network. Point is, be nice. Be mindful of the kinda things you share or say. Surprised? The social networking service sure has a payment option for people and companies who want to advertise on the platform. Advertising on the platform can be worth it as you can get to reach a lot of audience in diverse works of life and interests. However, when it comes to payment, be sure to use legitimate source of payment. In a case where the details are false, do not correspond with the name on the account or just seem suspicious, the account could get banned or suspended. Just be sure you ain’t trying to play a fast one. I am not sure why you should be having different Facebook accounts in the first place. I understand you may have a second account or a third for reasons best known to you. But having as much as 15 with pretty much same or a little different detail? Haba! There is a reason Facebook has the page option. Rather than creating different Facebook accounts, you can simply create different pages for different businesses – assuming you are Jack of all trade. 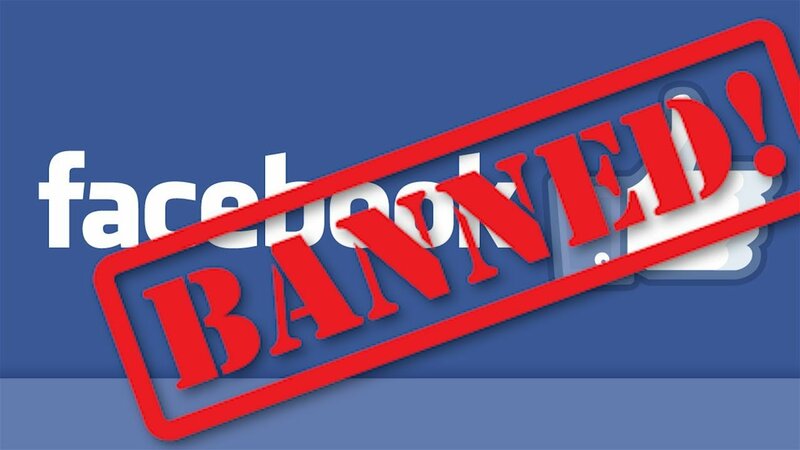 But having to create different Facebook accounts could only send a negative signal which could in turn, lead to all accounts being suspended, disabled or banned. Play safe! Guess that’s 10 reasons already. There could be more. If you know any, be nice enough to share using the comment session. In a case where your Facebook account gets suspended or banned, it’s better you try to appeal or try to fix it if the option is given. If none, you can just start all over again with a new account but this time, be wary of these risks. Just be clean. Come clean, stay clean and you possibly shouldn’t have a problem.